Dr. Sproul has done us a great service in helping to understand the relationship between faith and reason. We have explored the noetic effects of sin, the role of the mind, the modern neglect of the intellect and the law of noncontradiction. Today, in our final study from the series Faith and Reason, we will demonstrate how the Christian faith never abandons, but rather utilizes the law of noncontradiction. Yesterday we said that the law of noncontradiction states that “A cannot be both A and non-A at the same time and in the same relationship.” The qualifiers “same time” and “same relationship” are very important. Some attempt to deny the law of noncontradiction by giving examples from the natural world that seem to render the law invalid. One example of this might be water. Water can be both a liquid and a gas and so therefore, the law of noncontradiction must not be true. However, the qualifier “same time,” makes this an inaccurate assumption. A molecule of water can be both a liquid and a gas, but that molecule is never both a liquid and a gas at the same time. The qualifier “same relationship” is also very important. We see a good example of this in Christian theology. Many people mistakenly believe that when we confess the doctrine of the Trinity, we confess a contradiction. 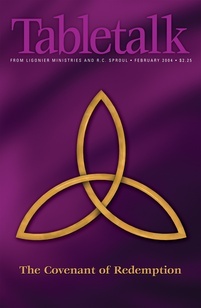 The doctrine of the Trinity, as traditionally formulated, states that God is one in essence and three in person. But this is not a contradiction because the way (or relationship) in which God is one is not the same as the way in which He is three. God is one in essence but three in person. If we said God was one in essence and three in essence, we would have a contradiction in the very being of God and would thus have to reject this teaching. The doctrine of the Trinity is not a contradiction. Rather, it is a mystery, a paradox of sorts, something that appears at first glance to be contradiction, but when explored further really is not. The Christian faith has many paradoxes, but no contradictions. The law of noncontradiction is presupposed in everything we do. If it were not true, all of the words on this page could have an infinite number of contradictory meanings and intelligible discourse would be impossible. The law of noncontradiction is not foreign to Christianity but is a tool to be eagerly embraced for faith and life. All drivers obey the law of noncontradiction. No one pulls out into the path of a speeding eighteen-wheeler thinking that the truck is both going to hit them and not hit them at the same time. When someone claims that contradiction and truth are compatible, show them that they obey the law of noncontradiction everyday without thinking about it.